My first Apple gadget was iPhone 3GS. It was my second cellphone; the first is Sony Ericcson. I thought of buying a Nokia since I never had it in the Philippines but when I came here in Canada it seems that nobody uses it. Or at least anyone from my circle of family and friends which are not at lot back then. By not following the latest trend, I saved but not a lot since I was in a contract for three years. I was paying for the data and cellphone. Tip: You can save if you will buy a phone and get a cellphone plan based on the usage/activity: texting, browsing, and talking (domestic and international). The good news is I was able to send an iPhone in the Philippines. Twice. OK. I’m not bragging here. The point is, if you take care of your gadgets, you can give it away to your loved ones in the Philippines as a gift or as a bribe (for doing errands related to application and submission of documents. I may have done both. But giving it as a gift is more subtle and sweet. Isn’t it? If you’re giving away a brand-new iPhone you can skip the steps and head over on how to ship the iPhone in the Philippines. Either way, I know you can learn a lot from my misadventures of giving cellphones to my siblings who used to fight over Nokia phones while I’m content reigning over the TV remote. Oh, I may be imagining but I think my mom somewhat make parinig that she too can learn how to use a smartphone. 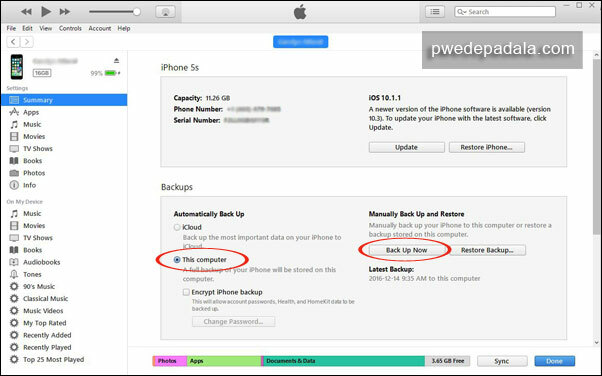 Apple has a tutorial on how to back up iPad, iPhone, and iPod. We’ll focus on iPhone. I prefer to do back up an iPhone on iCloud and iTunes for reasons you’ll find out later. For some the free 5 GB is enough for all back up. But if you have multiple devices you may want to upgrade the storage for a fee or delete unnecessary photos, apps, or messages you’ve been keeping for ages. 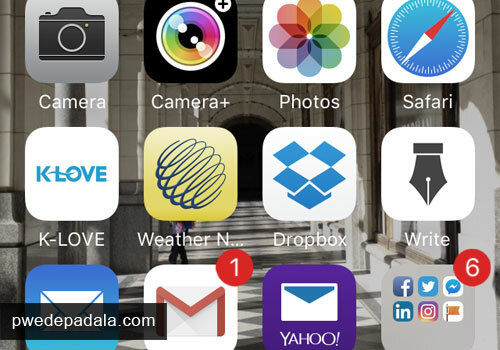 The best solution that I’ve tried is to back up the apps on iTunes because I use a lot of photography, email, and productivity apps. Honestly, I couldn’t leave the house without Google Maps. Where Does the Backup Files Go? To quickly access the Application Data folder, click Start, and choose Run. Type %appdata% and clickOK. Are you confuse already with all the technical steps? I’ll be referring to this blog post whenever necessary so I decided to add all the information I’ll need. I promise that what comes after this will be less technical. Just a little bit. Either way, I’ll make sure you can get all the important tips to send an iPhone in the Philippines without any hassle. A few more steps in the Part 2 and we’re done. Don’t skip any steps and tips. Have you ever tried to send an iPhone in the Philippines? What tips can you share to our kababayan to avoid any mishap?